People have an assortment of reasons that they want to have functional backyard gardens. For some, the motivation is getting to eat fresh and homegrown vegetables from their gardens while for others the motivation is to spend time with family. Still other urban and backyard growers desire to make a profit by using the resources they have: their own backyard vegetable gardens. No matter what your incentive, growing a backyard garden can be a fun and satisfying journey for yourself or the whole family with these backyard garden ideas. Fresh Tomatoes Growing In A Backyard Garden. Although a small financial investments, a garden of raised beds can save you a great deal of hassle in the long run. Not only do they look lovely and add to the live-ability of your backyard, but raised beds are also very practical. Raised beds are easy to tend and are functional because you can choose the soil you put in them (i.e. no weeds). 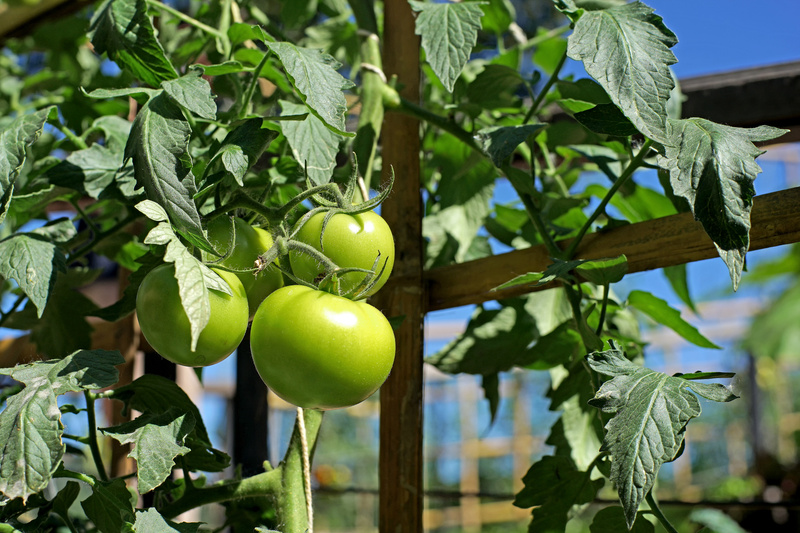 If you’re working on variety in your backyard garden, then you can choose to plant shorter greens right underneath taller plants such as tomatoes or peppers. Just tuck them in below and you’ll find yourself taking advantage of all of the space you have. If you use the right pots and grow vertically, you can circumvent digging up your backyard by growing your vegetables in pots. Not only does this allow you to control the weeds, but you also have the option to move them if they don’t seem to be getting enough sunlight. Containers can even be moved on top of tables or to other areas of the backyard as needed. Of course, pots that are small may need to be harvested often, and root veggies will need deeper pots. Consider drilling holes in the side of a wooden barrel and using them to grow herbs out of. You can make your backyard garden look like an oasis of beauty to your neighbors when, all the while, you’re really just growing food! Turn a chain link fence into a living wall simply by using it as a trellis to grow beans. Or use that wire fence to carefully guide raspberry or blackberry vines to develop above, all the while growing your lovely leaf lettuces or staple carrots below. 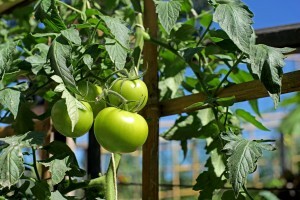 Think creatively about your backyard space and consider growing vegetables and other plants in unconventional ways. Using these and other ideas, as well as a little planning and some TLC, you can make your backyard garden into a place where your family not only enjoys gathering, but you can also make a profit from it. In fact, if you take advantage of simple vegetable garden grown with a system such as Seed to Cash, it’s almost impossible not to succeed! Get started with as little as less than $70 and get a $200 return on your investment in just 2 weeks. It’s time to put your backyard garden to work for you!